An employee of Dangote Cement factory at Ibese, Ogun State has been sentenced to five years imprisonment. The convict, Mr Adewale Dalmeida, was jailed on January 14, 2019, by Justice O. J. Bamgbose of the High Court of Ogun State, Abeokuta for an offence bordering on conspiracy and stealing to the tune of N15 million. He was brought before the court by the Economic and Financial Crimes Commission (EFCC) on December 6, 2018, along with Ibrahim Lawal, Lukman Adam and Afeez Olaniba. 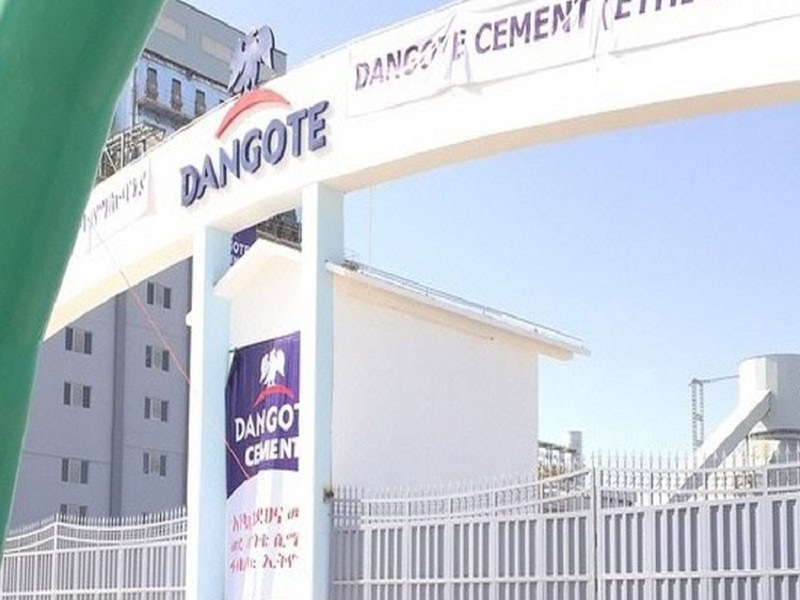 The complainant, Dangote Cement, alleged that Mr Dalmeida, a Fleet Analyst, Dangote Cement; Lawal, Chief Driver, Dangote Cement; Adam, a Ghanaian driver, Dangote Cement and Olaniba, who is an agent of a contractor to Dangote Cement, diverted nine trucks carrying 800 bags of cement each valued at over N15 million. Consequently, the court had ordered the charge to be read to the defendant, who pleaded guilty to the two-count charge. Also, counsel to second defendant, Z. D. Garuba, told the court that he had not filed any application on behalf of his client, Lawal, because he wanted to enter a plea bargain. Counsel to the third defendant, Abolanle Davies, and counsel to the fourth defendant, K. O. Moshud, had also told the court about bail applications on behalf of their clients. In his response, the prosecution counsel, Idris Mohammed, had told the court that he was ready to proceed with the trial of the third and fourth defendants. He had also prayed the court to take a very short date for a review of the facts and adoption of the plea bargain. Consequently, Justice Bamgbose had adjourned the matter to Friday, December 21, 2018 for the review of the facts and adoption of plea bargain. At the close of the review of the facts and adoption of plea bargain agreement, Justice Bamgbose had convicted the defendants on both counts on December 21, 2018 and adjourned to January 14, 2019 for sentencing of the convicts. At this Monday’s proceedings, Justice Bamgbose sentenced the first convict to two and a half years imprisonment on each count. The sentences are to run concurrently from the date of arrest and detention, being September 14, 2018. The judge also ordered that the money and property recovered from the convict should be forfeited to Dangote Cement. The second, third and fourth defendants were each sentenced to eight months imprisonment on each count. The sentences are to run concurrently from September 12, 2018. The judge ordered that the N1.6 million recovered from second defendant should be forfeited to Dangote Cement. Also, the total sum of N900,000 recovered from the third defendant was ordered to be forfeited to Dangote Cement. The money recovered from the fourth defendant was also ordered to be forfeited to Dangote Cement. The convicts were all ordered to enter into a bond with the Commission to be of good of character and never to commit any crime again in or outside the country.